Sleep Apnea: Can A Dental Mouthpiece Be The Answer? Sleep apnea is a common disorder that causes cessation of or shallow breathing during sleep. Shallow breaths or a pause in breathing is frequently followed by a gasp or a snort and is sometimes accompanied by snoring. Very often, the person suffering from sleep apnea is unaware of the condition, since it doesn’t actually cause you to wake fully, but simply move from deep sleep into light sleep. Generally, once the apnea is broken by a breath, normal sleep resumes—until the next incident. Unfortunately, these episodes can occur 30 or more times per hour, leading to poor sleep and fatigue or sleepiness the next day. A family member or bed partner might be the first one to notice signs of sleep apnea, as it cannot be diagnosed by a blood test and is not usually detected during a routine office visit to a doctor. It is, However, the leading cause of daytime sleepiness. The most common kind of sleep apnea is obstructive sleep apnea. This means that the airway becomes partially or totally blocked during sleep, causing shallow breaths or a pause in breathing. It is usually found in people who are overweight, but it can occur in anyone. Small children with large tonsils can suffer from obstructive sleep apnea. Central sleep apnea is a less common type of sleep apnea. In this condition, the part of your brain that signals your body to breathe does not send the correct signals to your breathing muscles. Central sleep apnea can occur alone or with obstructive sleep apnea. Snoring is not usually a symptom. People with sleep apnea have increased the risk of heart attack, high blood pressure, stroke, obesity, and diabetes. Sleep apnea can increase the risk of, or worsen, heart failure. Arrhythmias are more likely to occur, and the chance of having work-related or driving accidents is exponentially increased. There are several treatment options for patients with obstructive sleep apnea. CPAP (continuous positive airway pressure) is the most common therapy for sleep apnea, in which the patient wears a mask that provides a positive flow of air into the nasal passages to keep the airway open. However, some people cannot or do not tolerate CPAP. The other leading therapy for obstructive sleep apnea is the wearing of an oral appliance or mouthpiece. In order to keep the airway open during sleep, the appliance supports the jaw in a forward position, preventing the collapse of the tongue and soft tissues in the back of the throat. It is important to have a mouthpiece custom made to fit your mouth, as a poorly fitted one can cause discomfort and further disturb the patient’s sleep. A dentist is the best person from which to buy an oral appliance. Another therapy for sleep apnea involves surgery. Surgery is performed to remove and reposition excess tissue in the throat to make the airway wider. This may involve more than one procedure, and even after surgery, the patient may need to continue using CPAP. If you believe that you have sleep apnea, your physician can arrange for a sleep study to diagnose your condition and come up with the best course of treatment. 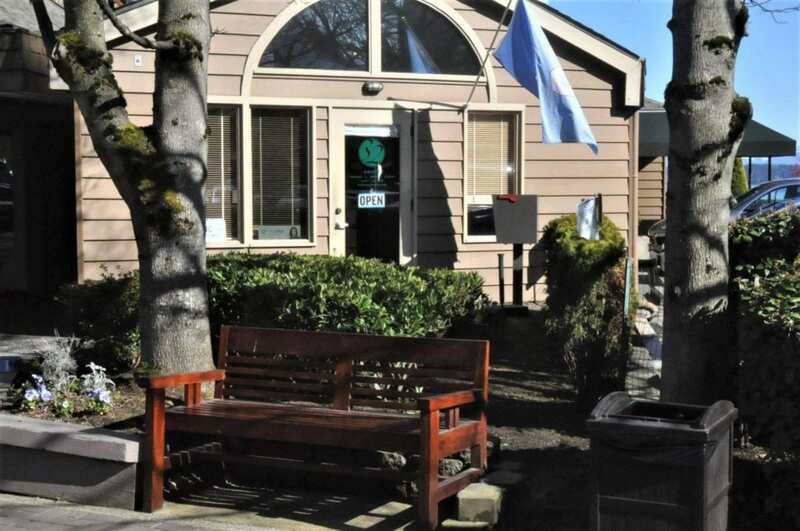 The dental practice of Dr. Michael Bilikas and Associates, DBA 32 Pearls, serves clients in Western Washington communities such as Seattle, Leschi, Madrona, Harrison/Denny-Blaine, Capital Hill, Tacoma, University Place, Sunset Beach, and the West End. Our dentists and dental technicians have earned an incredible reputation for integrity, dedication and positive results in the areas of family dental, cosmetic dental, and implant dental practices, among others. Website by The Stoddard Agency.